It is nearly 3 weeks since I wrote the last blog. In that time we have felt the effects of mid winter with cold and wet weather interlaced with excellent fishing. The heavy rain has resulted in yet another flood, the effects of which continue as the water logged land keeps the river level high. On the 21st July the river reached its second highest level this year at 367 cms (Cubic meters per second) with 22 cms normal. A reasonably big flood but well below the floods of 1958 and 2004. 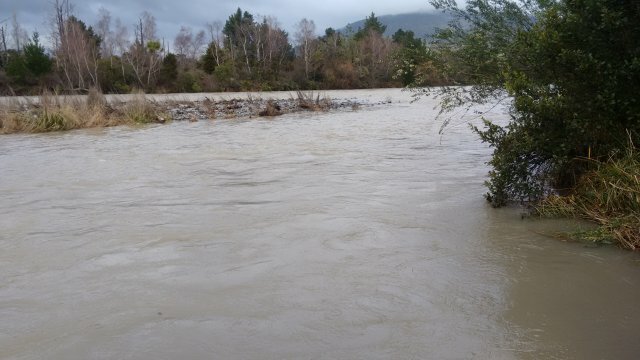 The floodwaters have receded but on Monday evening the river was still flowing at 43.7 cms. but the fish were biting which made for a pleasant fishing experience. I haven’t caught a 5lb trout this year but I have seen some. This one, caught by Richard Kemp, was 5.5lb. My best this evening was 1.8kg or 4lb. It was a very strong Jack. 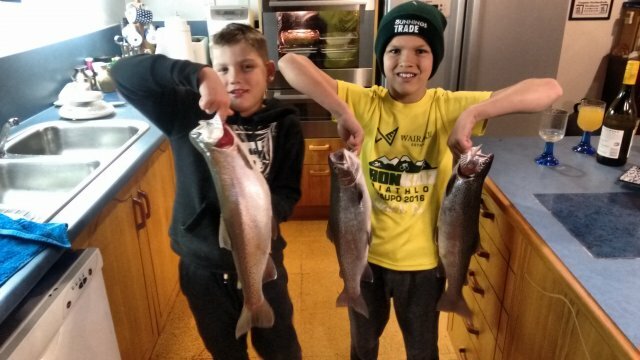 We had grandchildren for much of the holidays and it was a pleasure to take them fly fishing. They were very pleased to be able to carry fish home. I recently watched again the DVD, “A River Runs Through It” and in it there is a scene in which the McLean brothers, as youths, are fishing the Big Blackfoot river in Montana. As I watched the boys in the film I saw the same scene, but on the Tongariro. Lots of enthusiasm and lots to learn. In the last blog I wrote about an illegal fishing activity I observed. I neglected to add the Rangers number to report such matters. 027 2907758 It is the preface to the Fishing Regulations. I also raised an issue with the new Family License. Graham Whyman, Chair of Taupo Fishing Advisory Committee clarified for me that the 6 names on my Family License will each receive a license card enabling family members to fish in different parts of the Fishery and do not have to be as a group. It is now nearly 1 month into the new season and anglers have still to receive their hard copy license. It is a new system and will take time but I hope for a speedier delivery. When I remember to take my cell phone I have my license information. I know that anglers are being checked for their licenses and it is a responsibility to carry your license. It has been accepted that your cell phone receipt is acceptable proof of having a current license. On probably the coldest day but with sun shining I rode around the Tongariro River Trail (TRT). 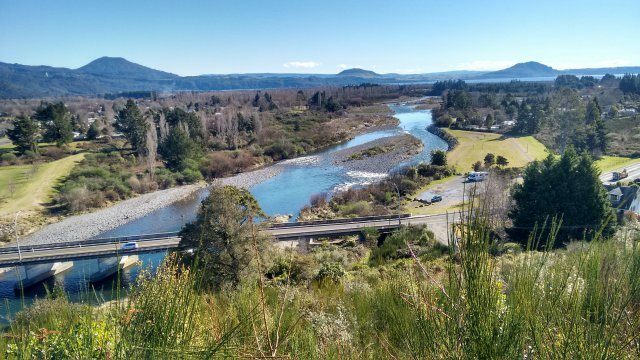 The views of the river from the lookout above the main road bridge are stunning. The TRT is in excellent condition and its success is judged by the numbers using it.Most are not anglers ,but just enjoying the opportunity to enjoy the walk or ride in such a pleasant environment. We call it iconic. 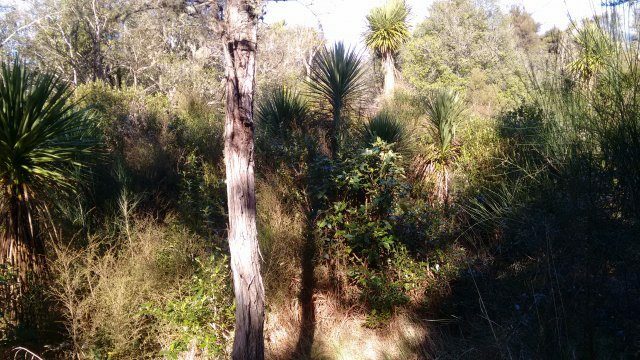 The planting between Taupahi and Te Aho reserves is well established, but it had a good base of plants with which to start and it is a lovely section of the TRT. 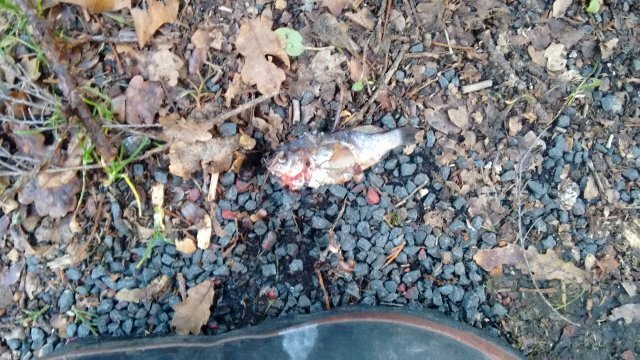 I was at Tokaanu recently and saw this very small dead fish on the road beside a drain. It was a reminder that there are more aquatic species than Rainbow and Brown Trout in this fishery. 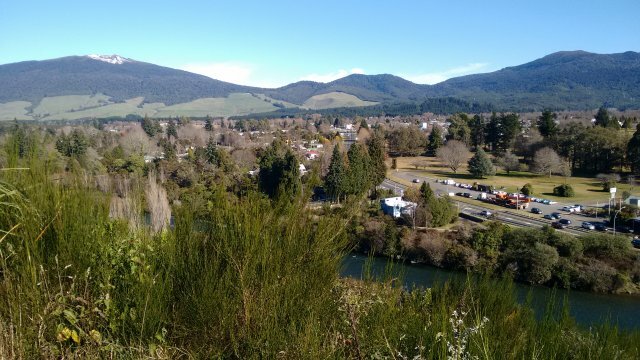 For those of you interested in the settlement between Ngati Tuwharetoa and the Crown, the settlement document is on line at the Office of Treaty Settlements, It’s a big read but it is valuable to know what the settlement has to say. I found the full document of greater value than the summary. It’s a pity that some are not aware of the access rights to the lower river. Vehicle access has never been legal. This includes cars, quad bikes and motor bikes. Boulders were placed to block vehicle access from the Bain Pool down river. Over time these boulder have been maneuvered away to allow illegal vehicles access. The track down stream has become a haven for motor cyclists and has resulted in a wet and muddy mess.